On February 20, McGill Students in Solidarity for Palestine Human Rights (SPHR) hosted David Heap, a community-based activist for peace and human rights, and media coordinator of the Freedom Flotilla Coalition (FFC), a self-described “grassroots people-to-people solidarity movement composed of campaigns and initiatives from all over the world working together to end the blockade of Gaza.” Heap discussed the important role the FFC plays in defying the illegal blockade of Gaza, detailing how the movement raises international solidarity with Gazans who experience the ongoing siege from the Israeli occupation. The FFC also provides a platform for international civil societies to mobilize and discuss the Gaza situation. 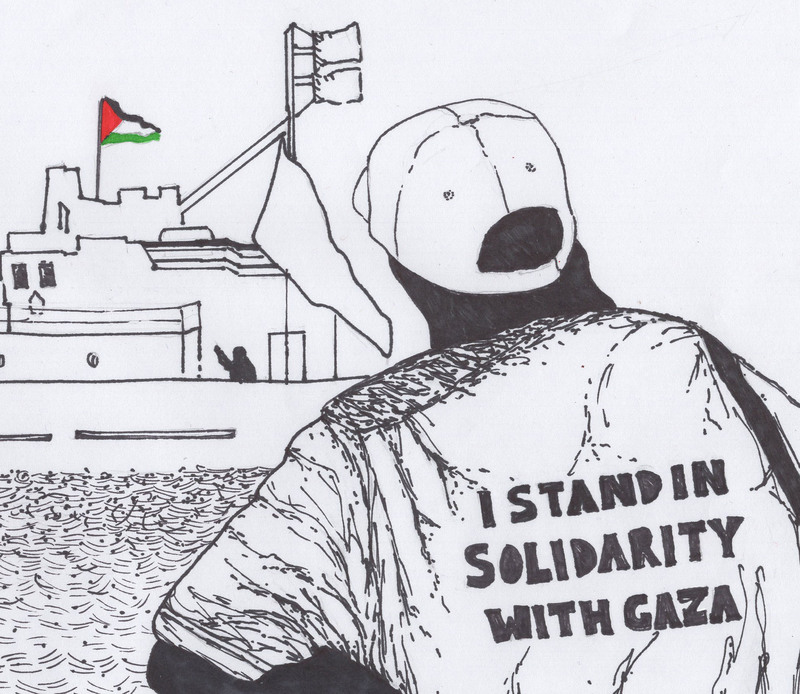 Several missions organized by the FFC attempted to reach the shores of Gaza to distribute much-needed supplies to Gazan residents; however, all were either stopped or assaulted by the occupation’s navy. The Israeli occupation is responsible for putting activists in danger, Heap stressed. “The only thing that makes [the voyages] difficult is the occupier’s violence.” This hostility is exemplified in the FCC’s first voyage in 2010, organized by the Free Gaza Movement and the Turkish Foundation for Human Rights and Freedoms and Humanitarian Relief (IHH). Of the six ships sailing to Gaza, “the largest, the Mavi Marmara, was attacked and boarded in international waters by the occupation’s commandos, killing nine activists and injuring several others,” stated Heap. The attack received extensive media attention generating an international public outcry, and caused the occupation to temporarily ease the blockade on Gaza. Heap was detained along with the other activists present onboard, spending six days in jail.